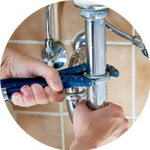 Looking for a plumber in Surbiton? You’re in luck, as the Handy Squad has got the whole KT postcode area covered. Maybe you have too much on your hands right now and don’t have time to fix your minor plumbing issues or maybe you don’t want to get your hands dirty, either way we are always here to help. Our team of experts can handle any task given, there’s no job too big or too small. 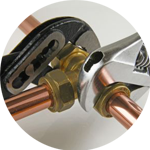 We’ve been dealing with plumbing issues since 2005, so you can rest assured you’re in good hands. 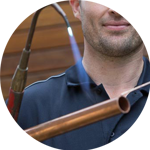 So, why not give your local Surbiton plumber a call? Close to the commercial hub of Kingston and with the River Thames on your doorstep, Surbiton is a lovely place to stay. 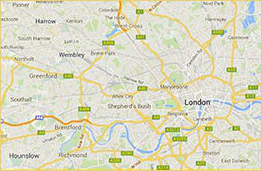 Other neighbourhood areas include Teddington, New Malden, Chessington and Esher. Surbiton’s architecture is a mixture of grand Victorian houses and Art Deco buildings. Even though Surbiton has a busy town centre, it also has beautiful calm green open spaces where you can relax after a day’s work, including Fishponds, Alexandra park and Hogsmill. It is known for the filming location of many well-known programmes and films, such as The Good Life, Stella Street, Harry Potter and the Half-Blood Prince and Agatha Christie’s Poirot: The Adventure of the Clapham Cook. It boasts many notable residents and artists, for example Eric Clapton purchased one of his first guitars from a shop called Bells within the area. 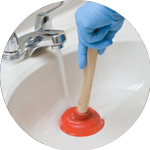 We offer all the services you might require, from unblocking toilets or urinals to repairing leaking pipes. If you are looking for other handyman services, our Handyman London team offers home makeover services, moving services, carpentry and much more.